we’ll bake them fresh and ship them to you! Our unique, Cake Pops are always baked fresh to order. No pre-made stuff, ever. Each time we make these favors, everyone is thrilled with their versatile flavor and craftsmanship we put into our work. 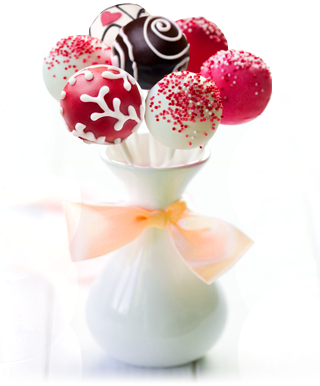 Chicago Cake Pops will be the talk of the party. No forks, no toothpicks – no mess!